Crafty is an ex polo pony with an amazing temperament. He is very talented in all ways, flashy paces and bold over a fence. 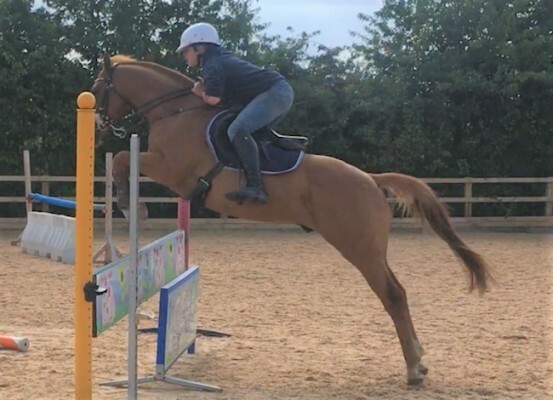 He has show jumped round 90cm with scope for much more, training over a metre, he has been cross country schooling taking everything in his stride, ditches, water, steps, combinations around 90cm. He has three very good paces. He has done PC rallies both in an arena and on grass. He is fantastic to hack, is 100% in traffic, box, shoe and clip, very uncomplicated. 5 star home wanted for this kind talented pony.